Distracted driving accidents often result in someone being seriously injured or killed, usually because the at-fault driver in these crashes rarely has time to apply the brakes or react in a way that could make the collision less violent. Driver distraction is one of the most pressing issues for law enforcement agencies nationwide, and authorities are having a difficult time finding ways to squash the problem. With the growing number of smartphones and other consumer electronics today – particularly among teens –the number of injuries and fatalities from distracted driving accidents do not appear to be slowing any time soon. According to the CDC, teen drivers are more likely to underestimate dangerous driving situations than older drivers with more experience on the road. And that danger is compounded with the popularity of certain smartphone apps that encourage teen drivers to multitask behind the wheel. Snapchat is one of the most popular smartphone apps among teens and young adults on the market today. That fact on its own means that Snapchat is especially likely to be a factor in instances of distracted driving among young, inexperienced drivers. But the app recently added a new feature to its arsenal that borders on encouraging drivers to use the app while they’re behind the wheel of a fast-moving motor vehicle. 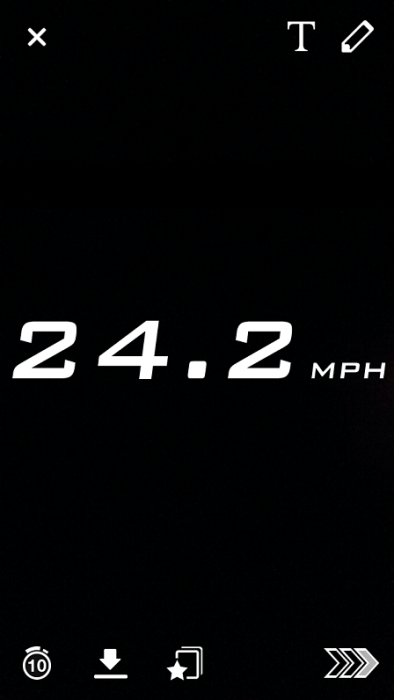 When a Snapchat user is using the app while they are in motion, they can add a filter to their image or video which places an estimated speed on top of the screen. The feature is based on the user’s GPS location so a variety of factors can affect how truly accurate it is, but that’s really beside the point. Did Snapchat Contribute to a Serious Accident? Last year, this potential problem turned into reality when 17-year-old Christal McGee crashed her Mercedes-Benz into another vehicle at over 100 miles-per-hour. The driver of the other vehicle, Wentworth Maynard, was hospitalized for five weeks and reportedly suffers from permanent brain damage, among other lasting injuries. The victim alleges that McGee was using Snapchat and the speed filter at the time of the crash, presumably to capture and boast to her audience on social media about the speed at which she was traveling at the time. McGee claims that Maynard caused the crash by pulling out in front of her. More investigation and witness testimony may provide a clearer picture into the facts about the accident and any possible contributing factors. Since Snapchat photos and videos are not automatically stored on a user’s phone, the retrieval of evidence is inherently difficult in cases where driver distraction is being disputed. But it could be argued that the Snapchat app and the speed filter feature may encourage some users to drive recklessly and share that behavior with their friends, all while putting other drivers on the road at risk. 3 or 4 years ago while approaching about a 30% downward grade, a youth walked in front of my vehicle and stood in front of my car blocking it for about 3-5 minutes while texting on a mobile device. This was likely done by the youth to get bragging rights, a world-wide epidemic among youths which I surmised through further internet research.